The idea behind the MFS Vakuum® styles is to combine a stable outer boot, providing security and purchase, with a particularly soft and adaptable inner boot. 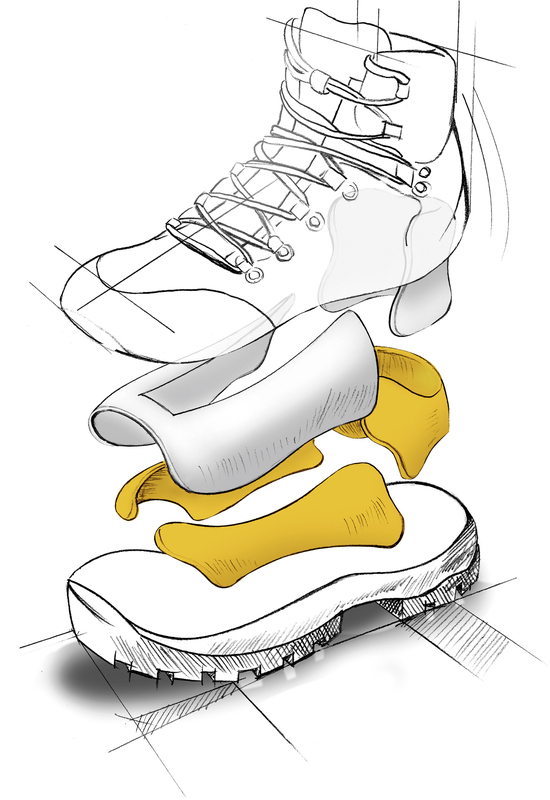 The special foam is used in the entire boot, thus adapting perfectly to the whole foot. Also particularly impressive is the elasticated GORE-TEX® in the heel area, which means there are no seams at the heel. The footbed adapts to the foot and it simultaneously provides very good support. <strong>Special foam padding<br /> </strong>Soft reticulated cuff pads. Reaching as far as the toe area, the foam guarantees a perfect fit. <strong>MFS Vakuum<sup>®</sup> foam<br /> </strong>Adapts exactly and without pressure to any shape of foot in the ankle, cuff and tongue areas. Extends to the ball of the foot. The foot is enclosed snugly yet softly.